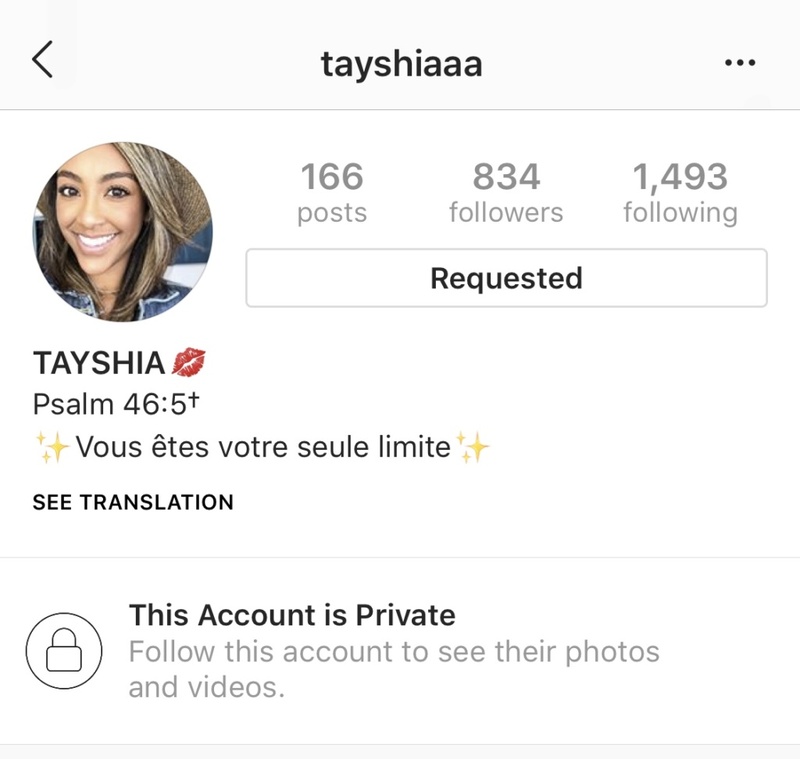 I've been monitoring Tayshia's IG stats for the last 7-8 days and her following count has been as follows: 1494-1493-1491-1490-1491 again-1491-1492 as of today. It also fluctuates sometimes depending on whether you're looking at the stats on a desktop vs your phone, not sure what you can derive from that, but it has been moving up and down randomly for over a week. @Kure24 wrote: I wish see could have had her numbers from the beginning so we could see if she is following someone new or if someone's deleted account got re-registered. In any case I'll be looking at both her and Hannah's accounts very closely for the next few days. hannah IG following went down from 515 to 514 today it’s still at 514 currently so it’s possible she could have been the F3 Elimination. But tayshia follwing did go up by one. That dip from 515 to 514 happened a few days ago, well before the F3 RC, not today. She did have a drop in followers today (100), but that's nothing new. 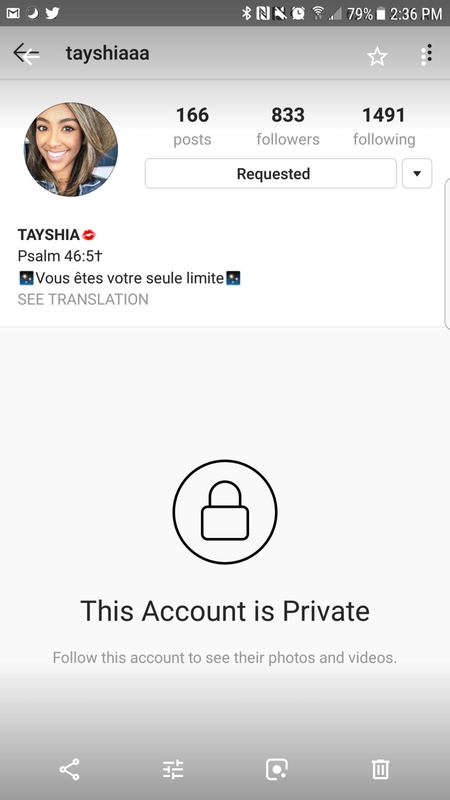 Tayshia’s follwing on IG went up by today. It went up to 1493 and it was previously at 1491 or 1492. this makes me think she was possible eliminated at F3 or earlier based on the final rose cermonyl happening a litter earlier then it was supposed to be. Yesterday when I checked it was 1943 as well ...and that was around 7:54 pm so I took a screenshot of that. Hopefully more movement happens since I do believe she is likely f3 but since Tayshia's following have been 1943 and 1944 before, her going back up to her original numbers could be a result of the accounts she's following. I'm gonna keep an eye on this account all day tho. 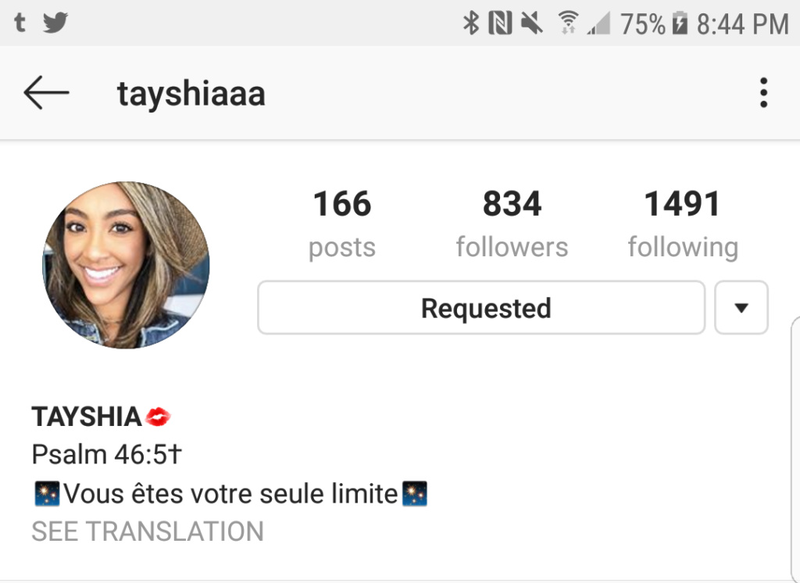 I also think that Tayshia was probably eliminated at the F3 RC, but not because of any movement on her IG. I’ve been watching her IG for 11 days and her following count has been fluctuating between 1494-1491 for several weeks, while she was still there filming. So these screenshots are not proof of movement, but I imagine we’ll see some legitimate movement soon enough. Thanks for keeping an eye on her IG! I'm sure, as it happens many times, we'll know for sure when there is definite movement in numbers. Do we know why she has a French saying in her bio? @GuardianAngel wrote: Thanks for keeping an eye on her IG! I'm sure, as it happens many times, we'll know for sure when there is definite movement in numbers. Maybe she took French in High School/College? Or, it's also possible that she could have studied abroad in France when she was an Undergrad. After using Google Translate, I found out that french saying in her bio translates to: "You are your only limit." Ever since she was first announced as part of the F4, I kind of had a gut feeling that she was going to end up placing at F3. You can see on my phone when I took this screenshot. Despite thinking she is f3, as been discussed Tayshia's following jumps around frequently but I wanted to show her recent numbers anyway. I'm not convinced yet she's F3 just because it's been a week since the RC? and her numbers haven't changed? Maybe she's following the rules and keeping quiet, which is not common anymore. Maybe she is the surprise F1. Is there a surprise f1 or did something unexpected happen. Just another update on Tayshia's numbers.